3D printing is helping animals once again. 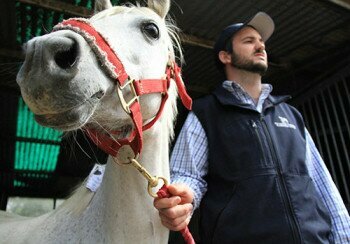 This time a Australian horse named Holly has a chance to walk normally again, thanks to 3D technology that allowed researchers to create a 3D printed titanium horseshoe. Holly is a 10-year-old mare who has suffered from laminitis, a debilitating hoof disease, for three years. Laminitis is a chronic hoof disease that causes inflammation between the hoof and the bone. This condition makes walking painful. 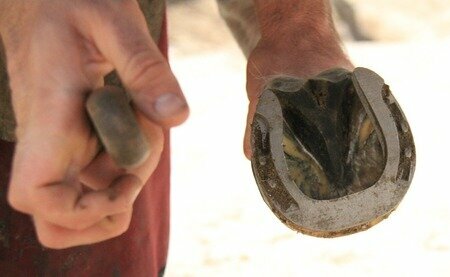 The idea was to design a customized horseshoe that could support the horse’s foot, allowing it to heal. Horse vet and farrier, Dr Luke Wells-Smith from the Equine Podiatry and Lameness Centre, first started to think about the possibility of using 3D printing to rehabilitate lame horses when his team saw the 3D printed shoe that had been built for a race horse last year. Horse podiatrists worked with 3D printing experts from the Commonwealth Scientific and Industrial Research Organisation (CSIRO) to scan Holly’s hoof, and create the shoe. The shoes were designed to take stress off of the affected tissues. So far, the test shoe seems to have been a success, with Holly expected to be walking normally within a few weeks. Laminitis is difficult to cure, which means that vets are especially interested in this procedure.